Your child will laugh and learn while playing improv games. Students learn to be public speakers, better listeners, team players, and performers. This class is for new comedians, actors, actresses, and everyone looking to have fun! Perfect for focusing the attention of extroverts; ideal for bringing out the confidence of introverts! 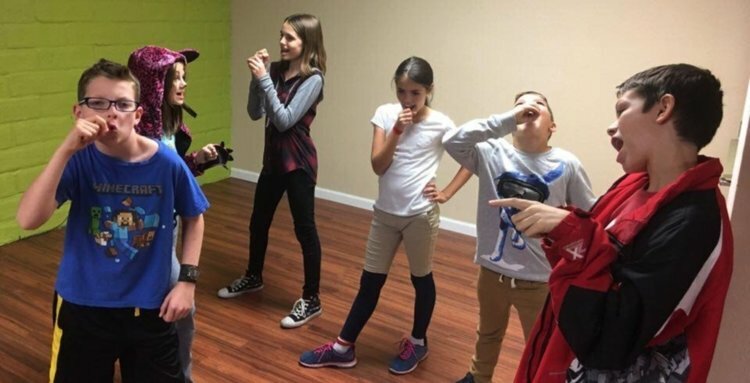 Blacktop Comedy is proud to offer fun and engaging youth improv classes for our younger improvisers. New class on the last Tuesday of the month. Get an exceptional opportunity to become a stronger actor and comedian. Build confidence, teamwork and listening skills. The Blacktop experience offers students the chance to learn improv while making friends in a supportive, low-pressure environment.